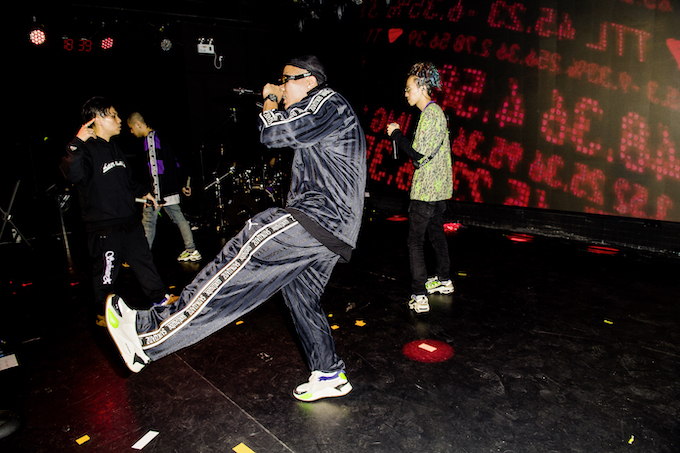 PUMA link up with LVMH Prize Semi-Finalist Shangguan Zhe to celebrate his rebellious streetwear brand SANKUANZ, transforming four sneakers as well as an accompanying clothing capsule which borrows the same neon-gilded prints across statement tracksuits and jersey items. 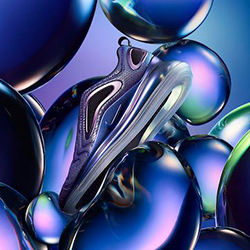 The recently revived PUMA CELL ENDURA features a light grey base with contrasting blocked neon, black and royal blue overlays, along with reflective piping, which is, mirrored closely across the PUMA RS-X. 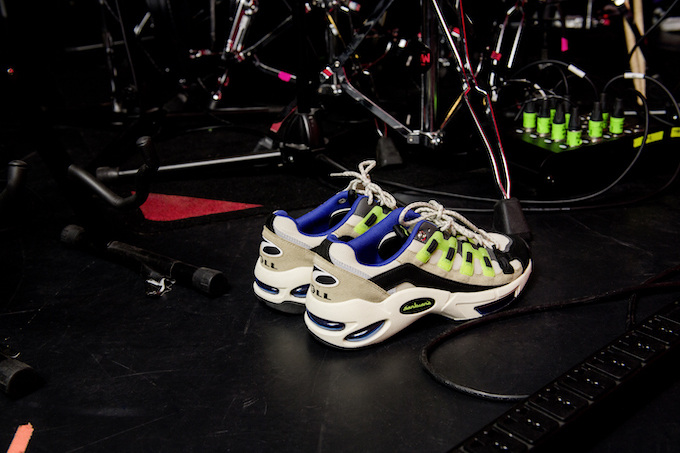 The PUMA CALI court sneaker is rebuilt in muted grey and white suede and tonal leather, before being bulked up with exaggerated rubber inserts on the toe and heel with neon and blue accents limited to the tongue. 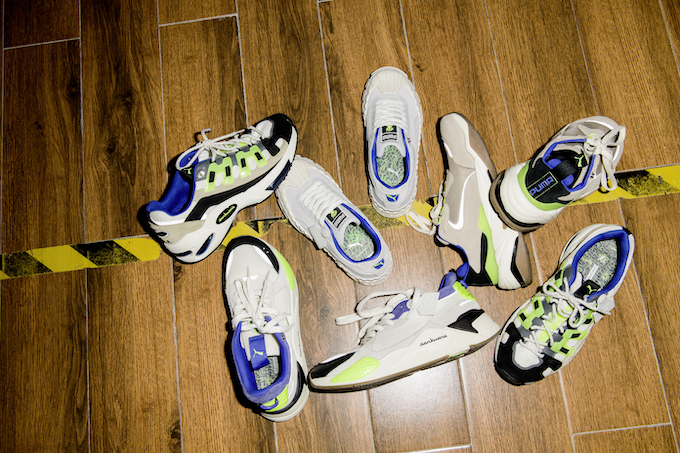 Finally, the PUMA THUNDER opts for a beige suede upper, reintroducing the collab’s signature neon, black and blue across the heel counter, lace eyelets and pulls. The PUMA X SANKUANZ COLLECTION is AVAILABLE NOW: hit the banner below to shop the collection at HBX.